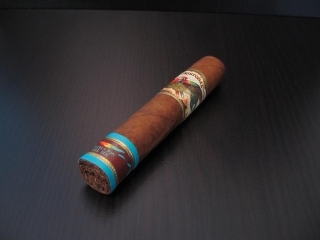 An Introduction To Cigar Estate! So first let me introduce ourselves to everyone. We have Ben which is our newest perspective on cigar smoking. He has smoked lightly on and off for the past 5 years but within the last 6 months has really kicked it up. He is doing most of the research for us and motivating the rest of us to show our passion for cigars. Ben’s most recent favorite has been Padron cigars. Also Ben is our main interactive designer and he will be the one designing our new site to replace this temporary version. So far we have a great logo and we will wait to reveal that until we get the new layout in place. Then we have Jeff who has been a steady smoker for the past 5 years. Enjoys a good smoke and is always looking for the next great cigar. Jeff will also be writing some articles for us as well. Finally we myself, David. I have been smoking for around 13 years now on a pretty frequent basis. When first starting out I had some great roll models in that the first cigar I ever smoked was a Romeo y Julietta – Cuban. Currently I have a few favorite cigars and I don’t think I can nail down just one. If you were to ask me today what was my favorite cigar I have to say Ashton VSG/ESG, Padron 26/64 and a few of the Tatuajes. As far as my contribution to Cigar Estate I am custom coding a nice little add-on and I will also be assisting Ben with the implementation of the site design being an interactive designer as well.